molly swoons: NO KITTIES FOR US. MEH. we got this close to adopting a kitten this weekend. one of my girlfriends from work told me the san francisco spca was doing free adoptions for kittens under 6 months old! that we're supposed to do this. 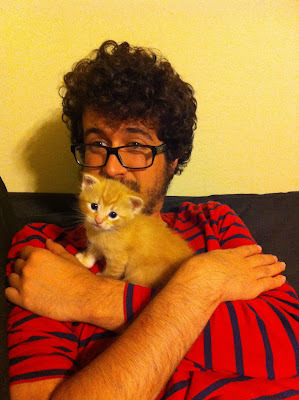 and then we came home and remembered that our dear housemate and friend (and kitten plan ruiner) ian was allergic. way to ruin the kitty party, ian. if you're in the san francisco area and of the feline persuasion, spread the word and get these kittens into loving homes! info on adoptions here.